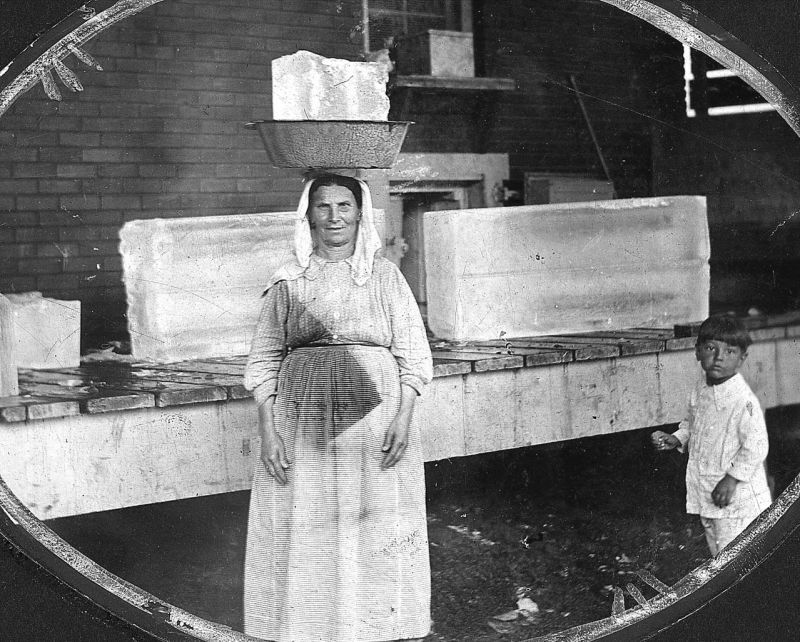 Transporting 25 pounds of ice to her home was no problem for this woman. Two 300-pound cakes are on the dock behind her. M.U.D. began selling ice in 1918, and by 1930, the District distributed "MUNY" ice from 60 jitney stations.